Every year, Steam hosts a number of specially themed sales where gamers go broke partaking in the too-good-to-be-true prices. PC gamers around the internet are far too familiar with the phenomenon that is a Steam Sale. In delight of the holiday season, Steam has commenced its annual holiday sale which will run through January 4th. According to Steam, there are precisely 9989 sales storewide at this very moment, both holiday and non-holiday. And there seems to be a new sale rearing its face every day. Top sellers like Grand Theft Auto V, The Elder Scrolls: Skyrim, Call Of Duty: Black Ops III and Rocket League range in sales of 30-75% off. 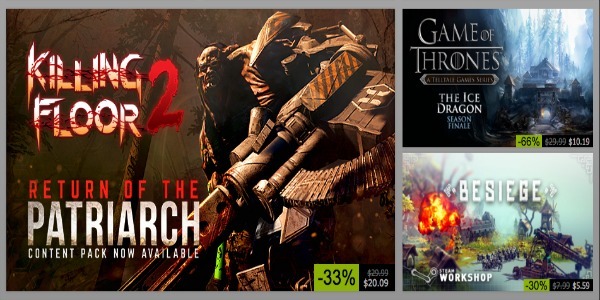 The Witcher 2 is only $2.99, which is basically pocket cash. Bottled water can cost more than that. If you want something truly detrimental to your holiday social life, Skyrim is only $4.99. 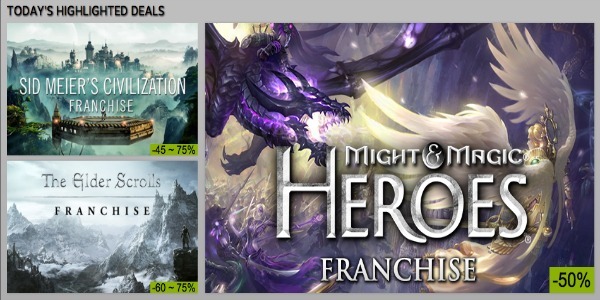 The best part is these aren’t the only games that are at a ridiculously good price. There are thousands more. Thousands. Unlike Steam sales in the past like the popular Summer Sale and Autumn Sale, the Holiday sale will not have flash or daily sales. That means that you won’t have to worry about missing out on an insane one-hour-long Fallout 4 sale while you’re at work or visiting with family for the holidays. Instead, gamers will be met with a mass compiling of unchanging game deals for the limited time frame of the sale. According to Shack News, if you want to keep track of the hundreds of sales happening coincidedly on Steam, there is a tool you can utilize to help. It’s called the Steam Database Sales Tracker and it tries to show you all of the holiday sales in one place so you don’t have to scour Steam to find them. Of course, with the high traffic of people pushing through Steam to get their hands on sales, it might be a bit slow on updating. But it’s a tool, nonetheless, and one that might save you some time. Though the holidays are a prime time for thoughtful gestures and giving, sometimes the holiday Steam sale is just too much to pass up. In this case, Santa might forgive you just this one time.